Rich Young Man With Two Girls And Lot Of Colored Shopping Bags And Laughing In Mall, Concept Of Consumerism, Sale, Rich Life. Lizenzfreie Fotos, Bilder Und Stock Fotografie. Image 103275724. Standard-Bild - Rich young man with two girls and lot of colored shopping bags and laughing in mall, concept of consumerism, sale, rich life. 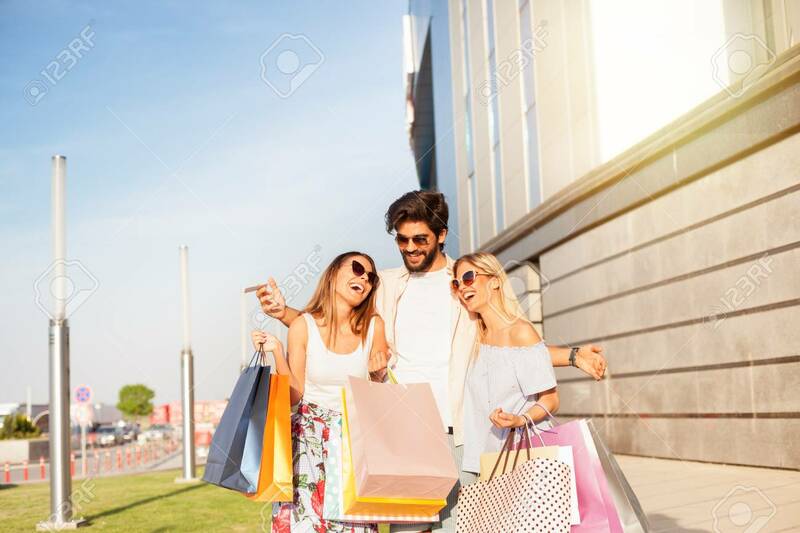 Rich young man with two girls and lot of colored shopping bags and laughing in mall, concept of consumerism, sale, rich life.